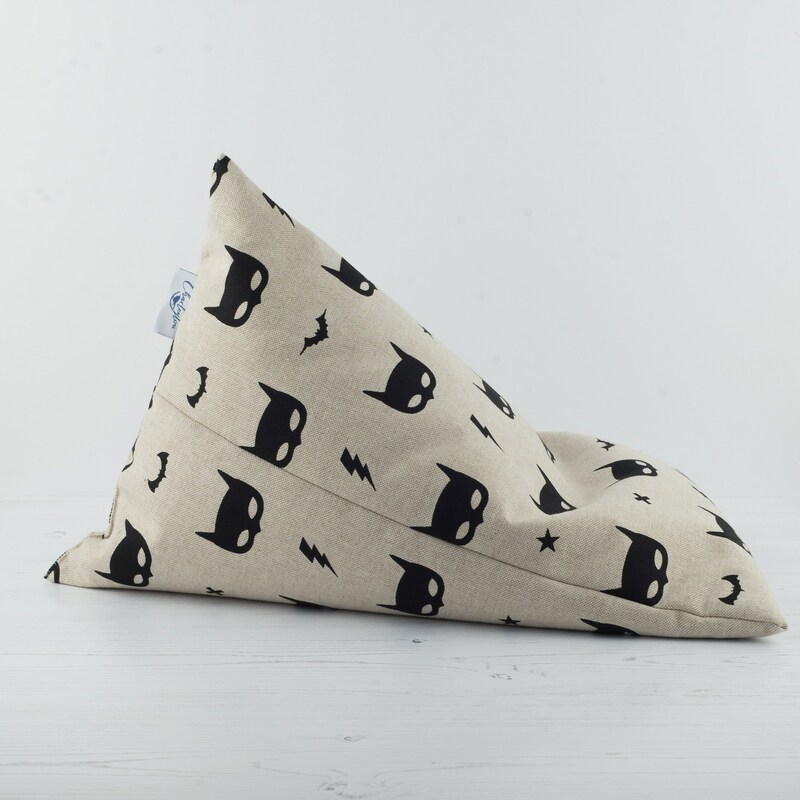 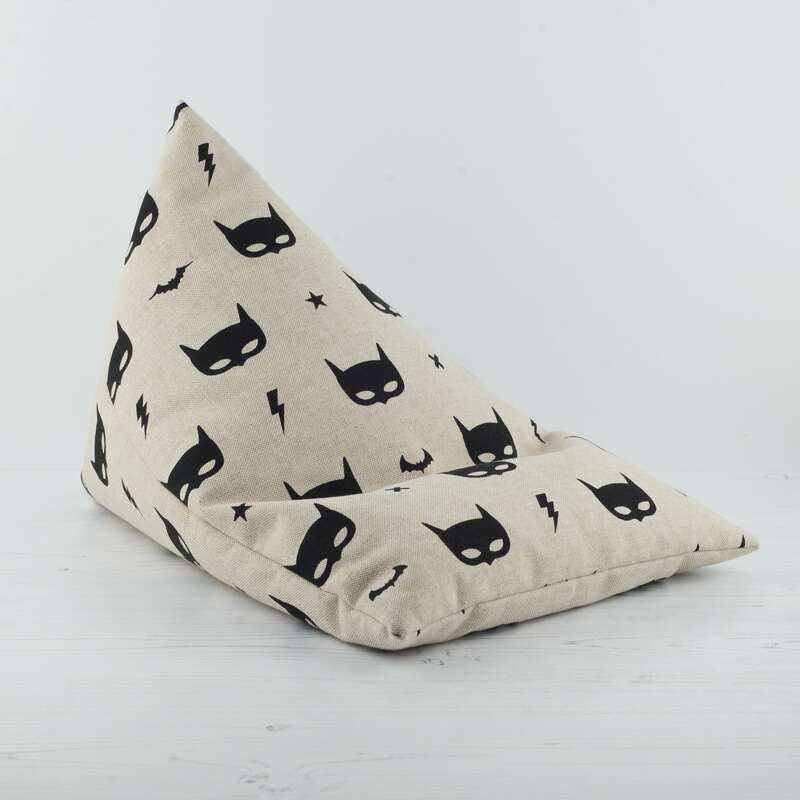 The tablet pillows are made in a high quality linen look fabric featuring a bat mask design. 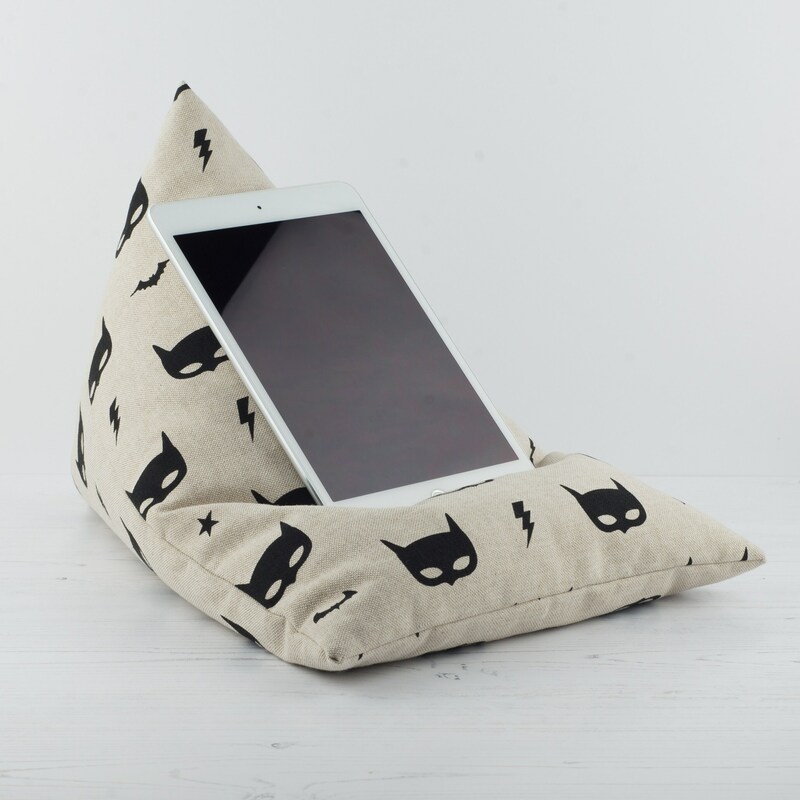 Each pillow is filled with grade A fire retardant polystyrene beads. 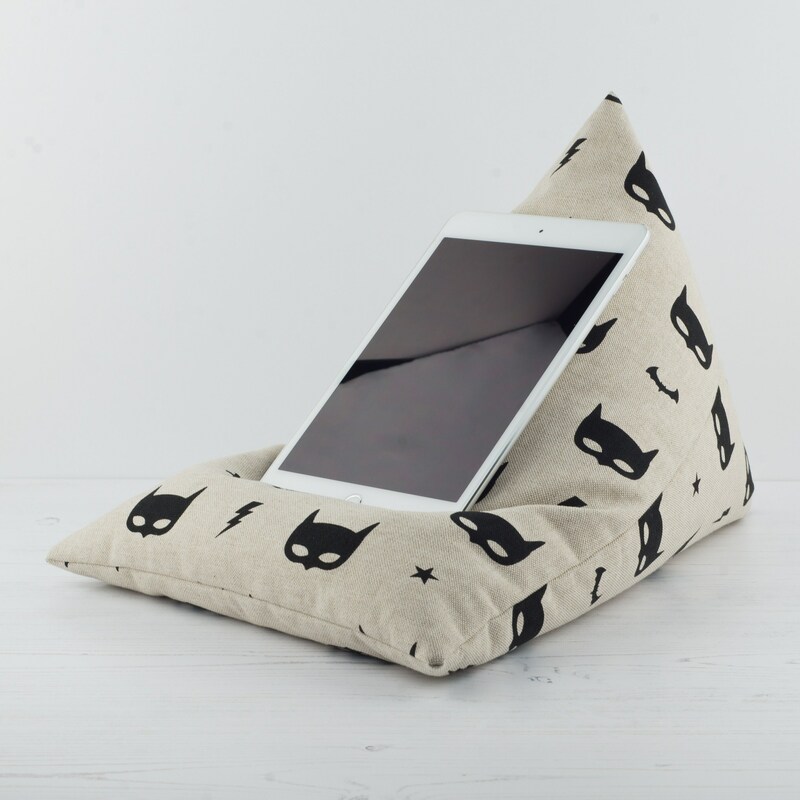 The device pictured is not included in the purchase of a tablet pillow.